Blackberry Priv, the first ever Android powered smartphone from the company is now available for sale in the selected countries. Now we had the renders of the second smartphone code-named Vienna. Interestingly, few days back John Chen, CEO of Blackberry confirmed that there will be more device to be launched after the Priv. From seeing the images, we can confirm that the company had left out the slider keyboard for this model. Apart from the images, there is not much information available about the device. The device comes with a touch screen display and a complete physical QWERTY keyboard. On the right of the device, we can find the volume buttons along with the Blackberry’s convenience key. The power button and SIM card slot are placed on the left of the device. 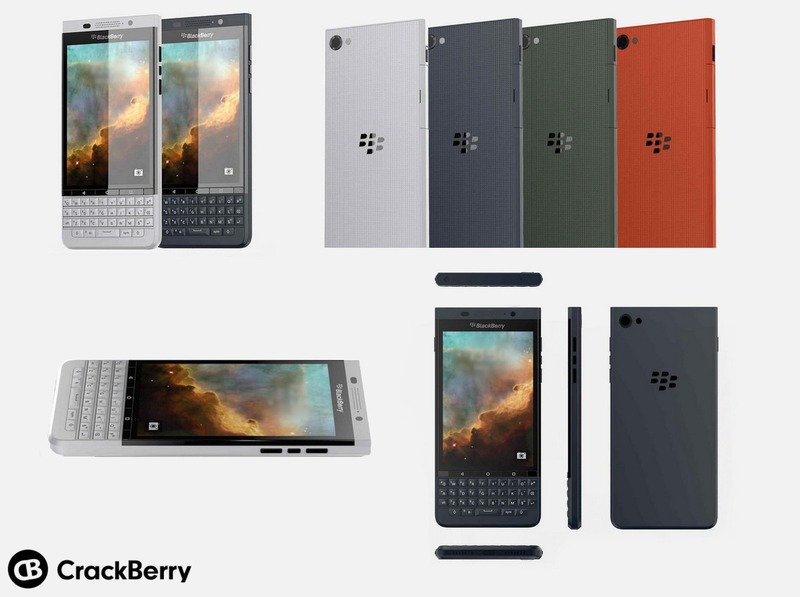 It comes with a textured back holding the Blackberry logo and the rear camera accompanied with the LED flash. Though the information is from a credible source, it is too early to confirm the device, and we can expect some changes in the final product. The device will be available in White, Blue, Green, and Orange colors. The recently launched Blackberry Priv is now available in the U.S and U.K for $700 (approx Rs. 46,300) and £580 (approx Rs. 58,400) respectively. It sports flagship specifications and the unique feature of the device is its security; the company also guaranteed to offers monthly updates. The design of the device looks totally different from the current Android smartphone; the slider keyboard makes the Priv standout device from the rest.